Abuja, 15 July 2018: – The Annual Meetings and 25th Anniversary celebration of the African Export-Import Bank (Afreximbank) ended in Abuja yesterday with President Muhammadu Buhari of Nigeria saying that the Bank, through its dynamism and tenacious leadership, had proved that Africans could come together to build something meaningful. President Muhammadu Buhari of Nigeria speaking at the Afreximbank Annual Meetings and 25th Anniversary celebration in Abuja as Afreximbank President Dr. Benedict Oramah and Dr. Ndagijimana Uzziel, Chairman of the General Meeting of Shareholders, look on. Delivering a keynote address at the closing ceremony, President Buhari said that those attributes had enabled the Bank to achieve the success which it had enjoyed since its establishment 25 years ago. 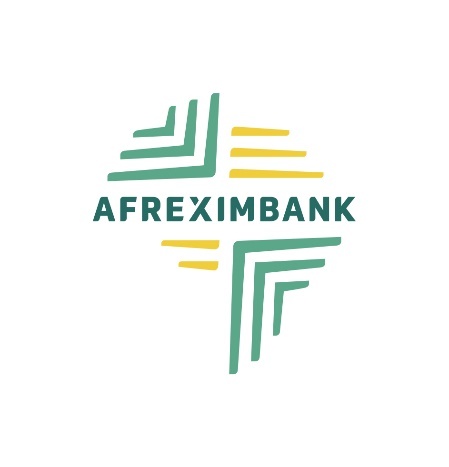 Dr. Benedict Oramah, President of Afreximbank, told guests that, “Since January 2016, 13 African countries had joined the Bank as Participating States and/or Shareholders, bringing the total number of countries to 50 African States and the goal of achieving full continental coverage within sight. In his report on the activities of the Bank, the President announced that in 2017, the revenues grew by 25 per cent to reach $645 million, driven by healthy interest income on average assets of about $14 billion, of which about 70 per cent was loans and advances. Net income as a result rose by 34 per cent to reach a new record of $220 million, continued Dr. Oramah. Liquidity was very strong, with cash and due from banks reaching $3.2 billion, up 153 per cent from $1.3 billion in 2016, while liquidity cover ratio was 185 per cent, above the target of 105 per cent. He announced that the Bank had recently entered into partnerships or understandings with numerous third parties to support and finance economic and trade development and trade diversification across Africa, including with the African Guarantee Fund, Attijariwafa Bank, China Eximbank, the Export Development Bank of Egypt, the Export Credit Insurance Corporation of South Africa, the Finance Center for South-South Cooperation, Kings College Hospital London, Indonesia Eximbank, the International Islamic Trade Finance Corporation, the Islamic Corporation for the Development of the Private Sector, the Made-in-Africa Initiative and the Russian Export Centre. In his contribution, Dr. Ndagijimana Uzziel, Chairman of the General Meeting of Shareholders and Minister of Finance of Rwanda, announced that the Board of Directors had proposed a dividend declaration of $57.53 million to shareholders, representing a 51 per cent increase on the $37.96 million declared in the previous year. The meeting also saw the election of Kemi Adeosun, Minister of Finance of Nigeria, as the new Chairperson of the General Meeting of Shareholders. The Annual Meetings began on 11 July with keynote addresses, presentations and panel discussions on topical trade and trade finance issues, including the African Continental Free Trade Agreement. There was a Nigeran Investment Forum and trade exhibition as well as entertainments provided by the Mindelo Carnival from Sao Vicente, Cape Verde, and Nigerian superstar Davido. More than 100 speakers, including Heads of State, ministers, central bank governors, director generals of international trade organisations, business leaders, African and global trade development experts, and academics, spoke during the four days of the meetings.